 To attend workshops, conferences and symposia. Application letters with detailed curriculum vitae (CV) and copies of relevant certificate and transcripts should reach the undersigned, in hard copies, not later than two weeks from the date of this advertisement. Candidates must also give names, contact addresses as well as telephone numbers of two referees best known to them. 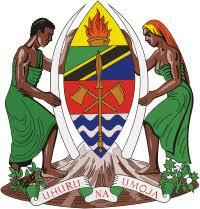 - The position requires excellent communication skills in both spoken and written English & Kishwahili languages. - Only short-listed candidates will be contacted through their addresses and/or telephone numbers. If not hear from us till three weeks from the date of this advertisement consider yourself unsuccessful.